The CCCU Royal Persian Angoras of Amarillo, Texas, USA are the original Angoras from which all other Angora breeding stock around the world originate. 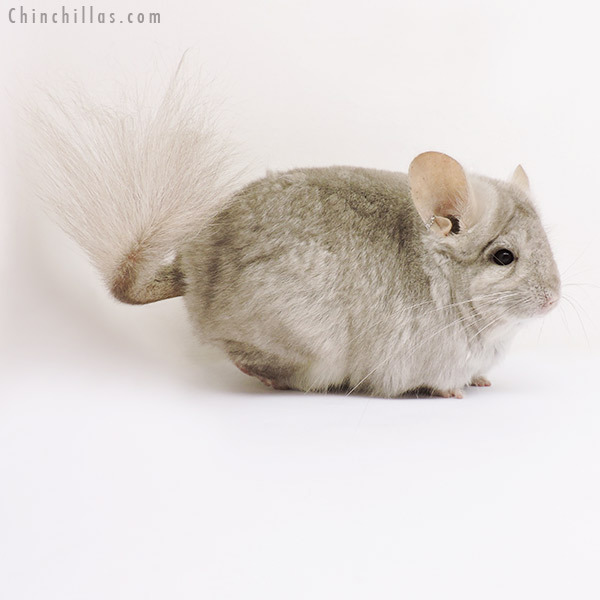 For the past decade, the CCCU Royal Persian Angoras have been offered for sale exclusively on Chinchillas.com, and from no other source. Starting in 2013, all CCCU Royal Persian Angoras come with a Certificate of Authenticity, which helps insure that clients of Chinchillas.com are purchasing a true CCCU-bred Royal Persian Angora. The genetic modifiers involved in the long hair mutation tend to behave like an accumulative recessive. Breeding Angora to Angora can produce even longer haired offspring, but reduces hybrid vigor. For more information about Royal Persian Angora chinchillas click here, or email sales@chinchillas.com. Note: Royal Persian Angoras may be purchased by non-North American buyers only. Please review the 2015 Shipping Fee Schedule before making a purchase.